Cycling is a low-impact, calorie-burning exercise. Walking and biking are both perfect ways to burn calories to help you get in shape or stay active. In addition to the many health benefits both activities provide, an added perk is that they're both social activities. If you've got a friend who enjoys walking or cycling, you can enjoy getting caught up while reaping the benefits of some exercise. 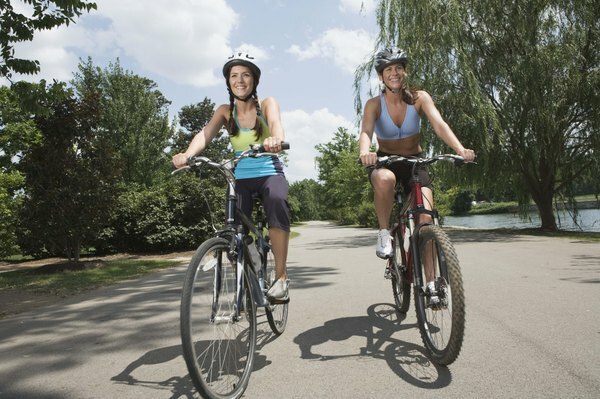 Generally, biking provides more of a calorie-burning workout than walking. 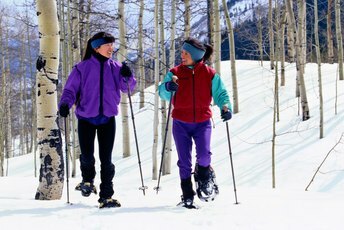 A couple of factors are important to consider when determining whether walking or biking burns more calories. Because everyone has a different body type and level of fitness, not all people burn the same number of calories by doing the same activity. Additionally, the speed at which you walk or bike plays a key role in the number of calories you can expect to burn. Typically, people who weigh more will burn more calories when doing the exact same amount of exercise as someone who weighs less. 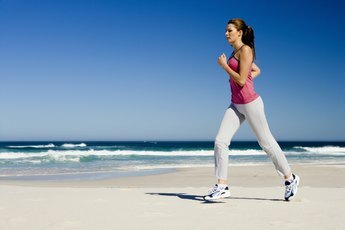 According to Harvard Medical School, a person who weighs 125 pounds can expect to burn roughly 120 calories when walking at a pace of 3.5 mph hour for 30 minutes. If that person increases her pace to 6 mph, she should burn about 180 calories in the same amount of time. The same 125-pound person will burn roughly 240 calories during a half-hour of biking at 13 mph and 495 calories when biking more than 20 mph. If you're 155 pounds, expect to burn in the neighborhood of 149 calories during a 30-minute walk at 3.5 mph and 223 calories when keeping up a 6-mph pace. Someone with the same weight will burn 298 calories in a half-hour of biking at 13 mph and 614 calories when biking at least 20 mph. If you weigh 185 pounds, the calories you burn will be significantly more than if you weigh less. 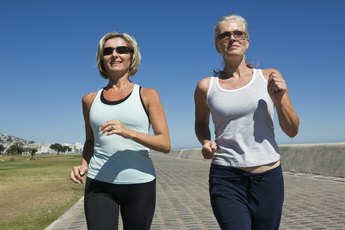 Someone this weight who walks for a half-hour at 3.5 mph will burn around 178 calories, while increasing her speed to 6 mph will yield 266 calories burned. Biking at 13 mph will burn 355 calories, and a pace of 20 mph should burn a whopping 733 calories.